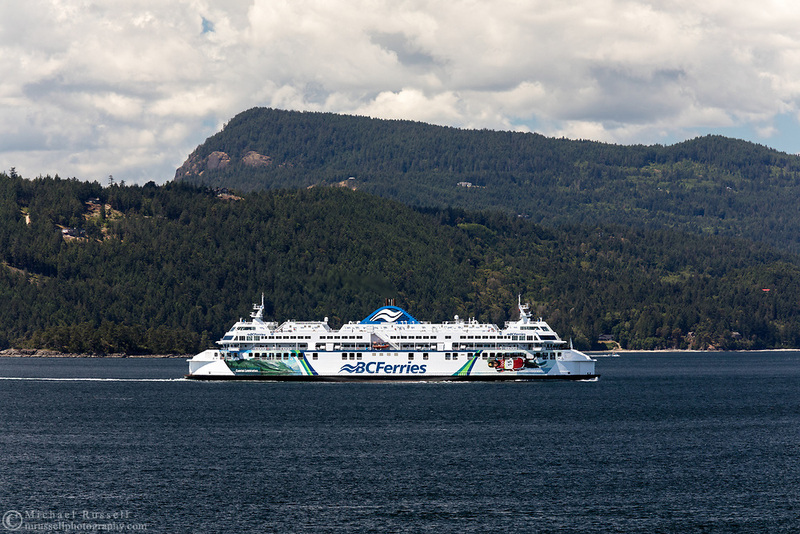 BC Ferries vessel Coastal Celebration (built in 2007) navigates Swanson Channel on the way to Tsawwassen from Victoria (Swartz Bay) . Photographed from Otter Bay at Pender Island, British Columbia, Canada. Salt Spring Island (and Mount Maxwell/Baynes Peak) is in the background.